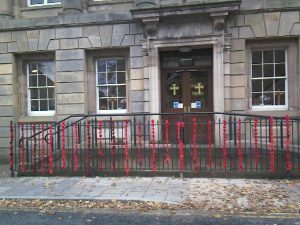 St Columba’s marked the centenary of the armistice at the end of the First World War at 11.00 on 11 November 2018. 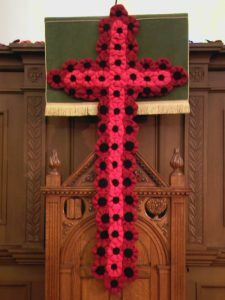 In our morning service, we joined with others with in hearing an audio broadcast from the Cenotaph in London, holding two minutes’ silent remembrance, followed by a bugle sounding. 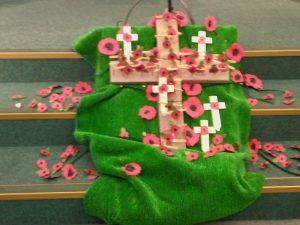 In the church, a poppy wreath was taken and hung from the war memorial. 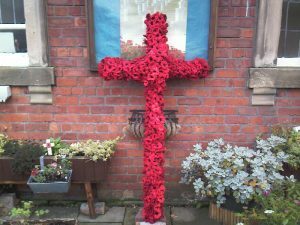 The names of those from our churches in North Shields were read out, and poppy crosses were brought to the platform, whilst photographs of the soldiers who died in both world wars and their graves were shown. 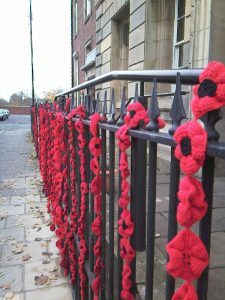 It was striking how young many of them war, just in their late teens or early twenties. 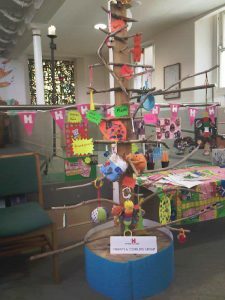 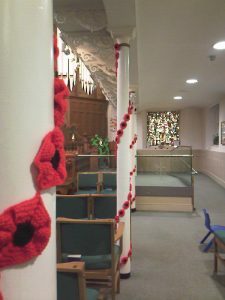 The church had been decorated inside and out with many knitted poppies, including two crosses and a tree, by the dedicated craft work of HANDS, Inner Wheel and librarians. 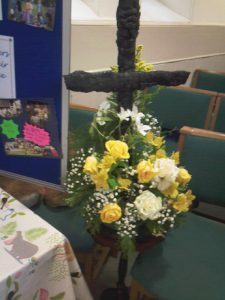 Once again, the church was decorated with fruit, vegetables, bread, and tinned and packaged foods for harvest festival. 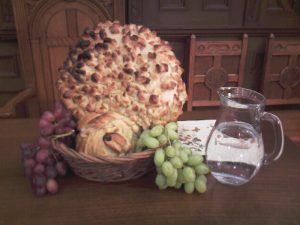 Our minister reminded us that God blesses us with food in all varieties from all parts of the world, and that we need to be thankful and ready to share. 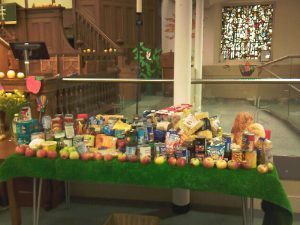 Collected food was donated to local homelessness charity, Nite Bite, which is supported by Churches Together in North Shields. 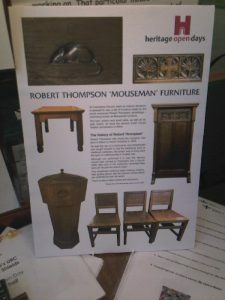 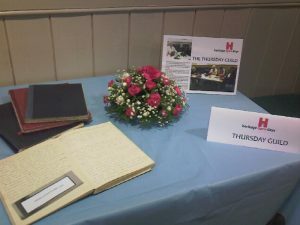 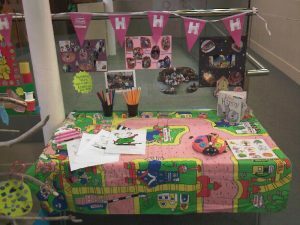 St Columba’s Church was open again for a heritage open day on Saturday 8 September, with displays produced by various groups within the church. 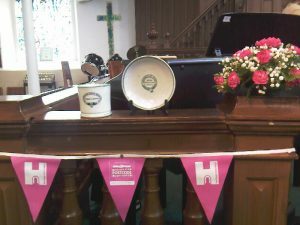 On the following day, we welcomed three new members into the church. 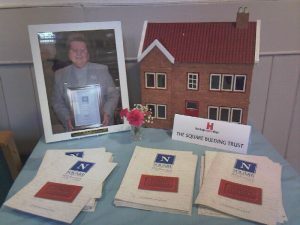 We were delighted that our Early Bird Breakfast team has received the Chairman of North Tyneside Council’s commendation award earlier this month. 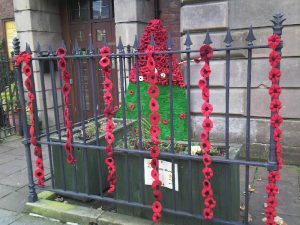 It is good to recognise the work that they do getting up early every Sunday morning to cook breakfast and offer friendship to anyone who is hungry. 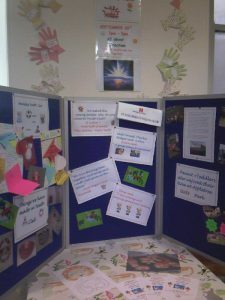 The award follows those previously awarded to HANDS in 2017 and the Square Table Luncheon Club in 2015.